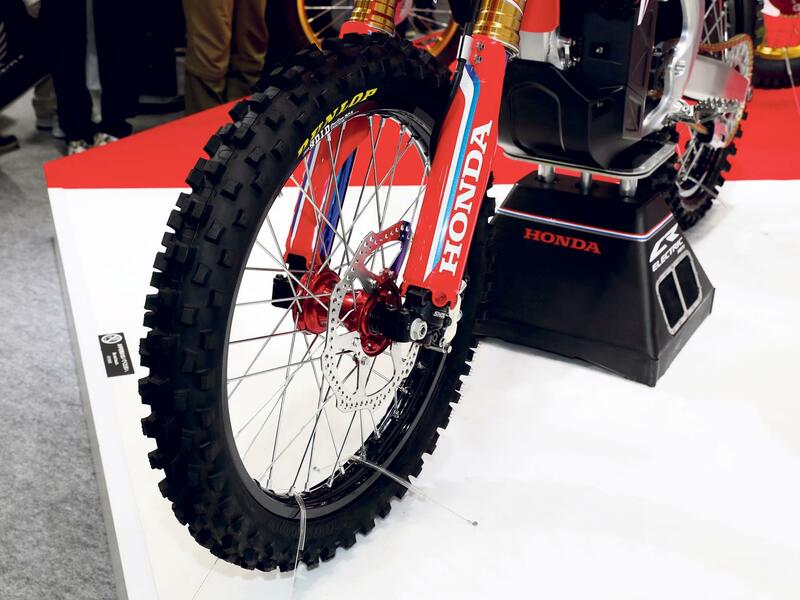 Honda have unveiled an electric concept version of their CRF off-road bike at the Tokyo Motorcycle Show. It’s the first step towards electrification we’ve seen from the Japanese giant, although they’ve clearly not been working alone. Honda’s sister brand and tuning experts, Mugen, have been working on electric drivetrains for years and their Shinden has won the last five electric TTs on the trot and shows no signs of slowing. Mugen have also been working on the E.Rex off-roader, which is clearly what Honda used for the basis of this CR-E – in fact they’re exactly the same bar a few cosmetic differences. The base bike is a CRF250R motocrosser, using its chassis, swingarm, suspension, wheels and brakes although they’ve been modified slightly to accommodate the battery and motor fittings. 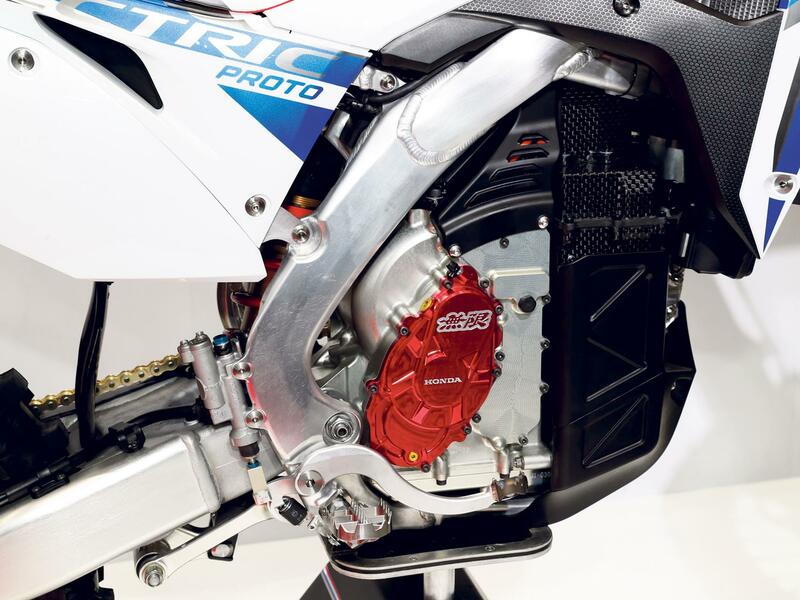 The power unit is a miniaturised version of that used in the Shinden, so it copies the same single gear 'twist and go' approach even though some electric off-road manufacturers have dabbled with clutches to aid control albeit at the expense of weight. There’s no official word yet from Honda about either power or torque figures but we do know the CR-E will have multiple power modes. Alta Motors debuted a similar concept on their Redshift, where you could dial back the torque for slippery conditions. 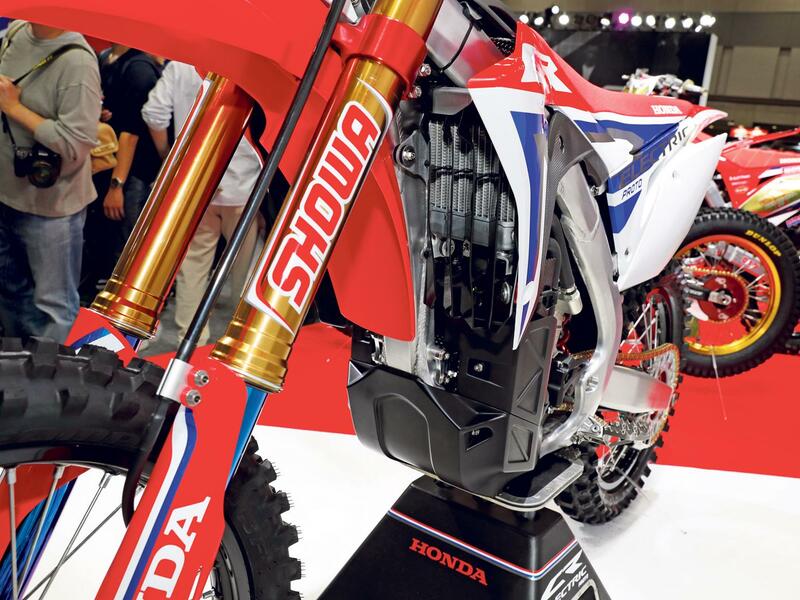 The lithium battery that powers the bike is made by Maxwell and, to keep things moving under the high stresses of racing, both the motor and inverter are liquid cooled, using an adapted cooling system off the 250R. The CR-E’s just a concept for now with Honda making zero promises about if it’ll go into production, but it’s still a tantalising glimpse into a possible future. Ducati working on "perfect electric bike"